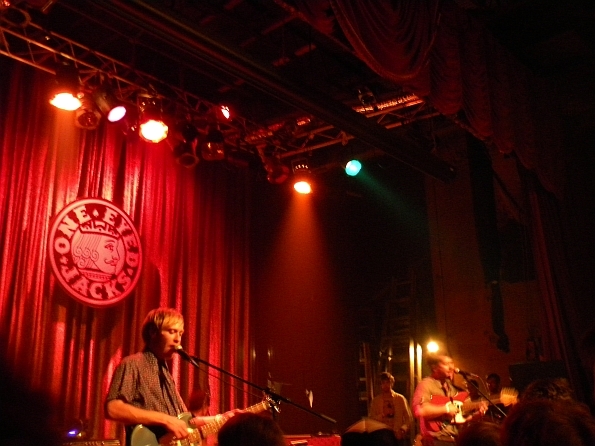 One Eyed Jacks is the type of venue most concertgoers associate with stylized grunge: clouds of smoke billowing from every other hand as hundreds of cigarettes rest between the manicured fingers of hipster men and women while the rest of the space is coated in low, red lights. The setting could not have been better for a rocking night of music, however. 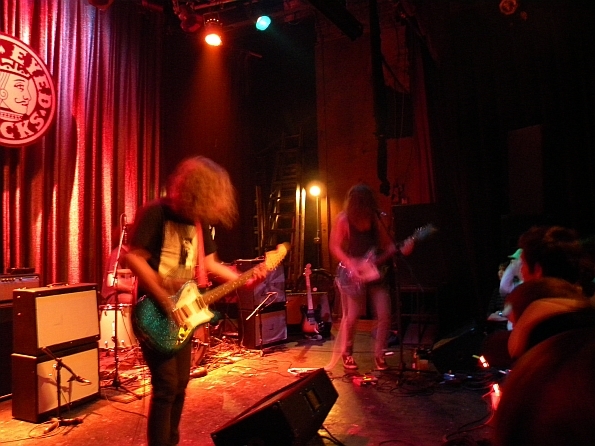 Bass Drum of Death opened things with their driving surf rock meets indie pop style. Reminiscent of the San Franciscan band The Makes Nice, Bass Drum of Death sounded more Californian than southern though they hail from Mississippi. Intermingling with a forceful drumbeat, guitars blared waves of treble-soaked arpeggios, providing relatively seamless song transitions. 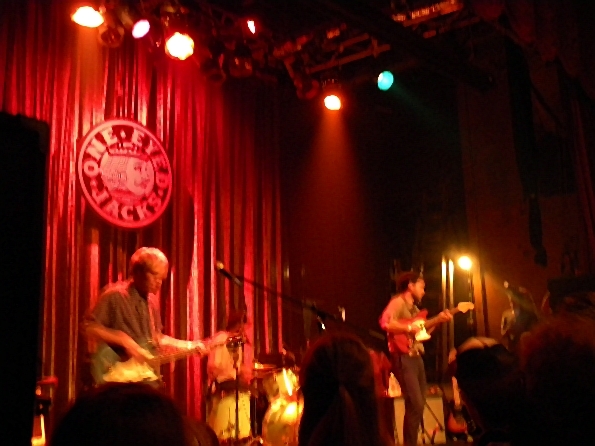 The trio really was guitar-heavy: there were two of them, and a drummer. Though the band’s only released one LP, GB City they’ve amassed quite a following and it showed, with One Eyed Jacks seemingly filling instantly as fans moshed about. UMO wasn’t all lighthearted songs and innocence: midway through their set there was stage-diving and plenty of moshing to go around for their hour-long set. Soon it was time for the headliner: Toro Y Moi. 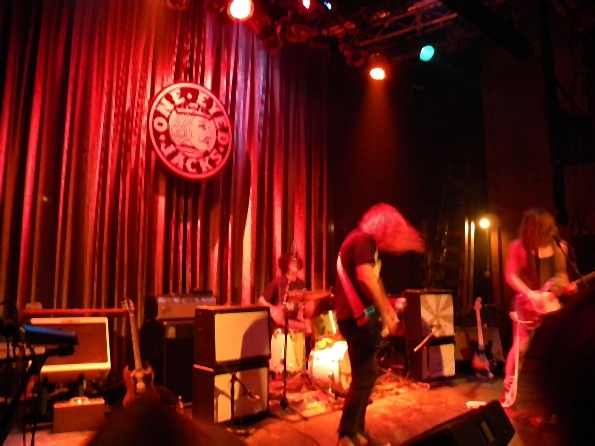 By the time the band took the stage, the crowd was ready to really let loose and dance. The band delivered on that, producing masterful grooves with Chazwick Bundick head-bobbing in time with his synth and effects. 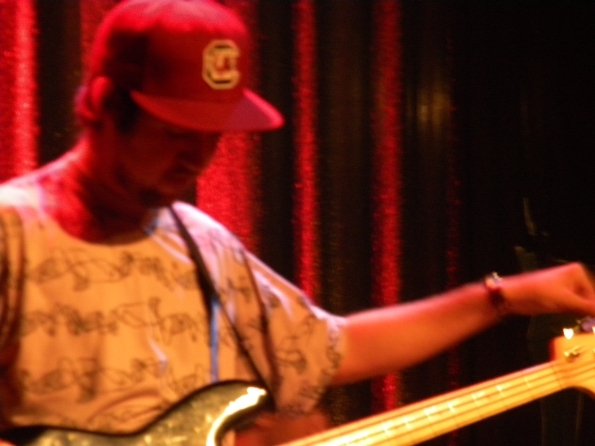 Bass played a key part in Toro Y Moi‘s set, with funky riffs driving dreamy synth. Bundick pulled from both studio albums as well as his handful of EPs, rounding out the set with an even mix of old hits and new jams. 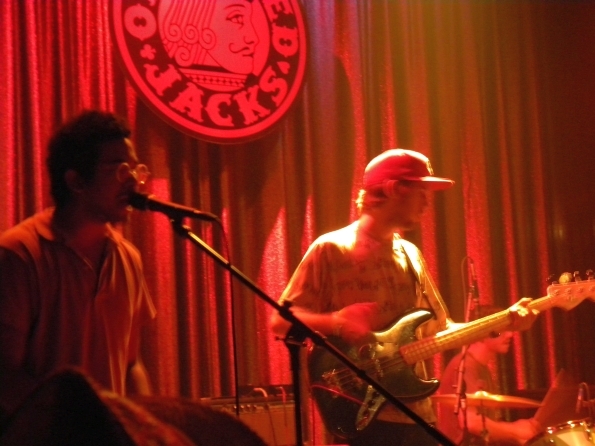 Towards the end of Toro Y Moi‘s set, Bundick apologized for previously canceling a stop in New Orleans due to illness. Judging by the crowd’s reaction to his encore, all was easily forgiven.